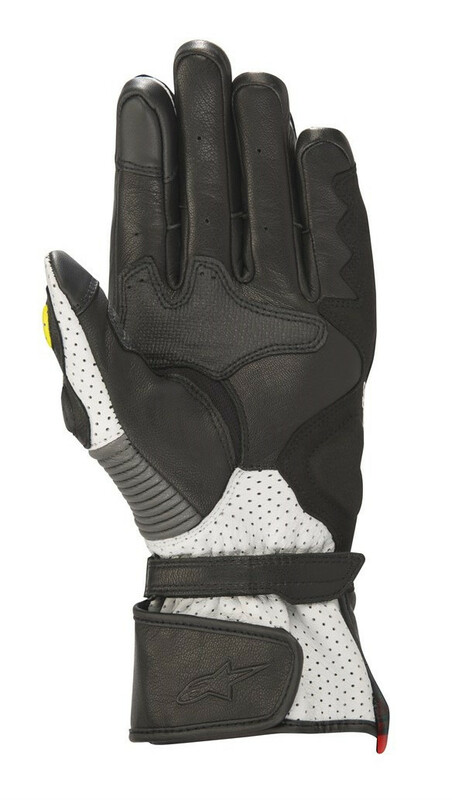 With increased stretch zones and perforation panels and full leather palm the new evolution SP-2 V2 Leather Glove is CE certified and fully featured for all your performance riding needs – from Alpinestars’ innovative knuckle protection to the double wrist closure, this glove offers excellent comfort, protection and performance. 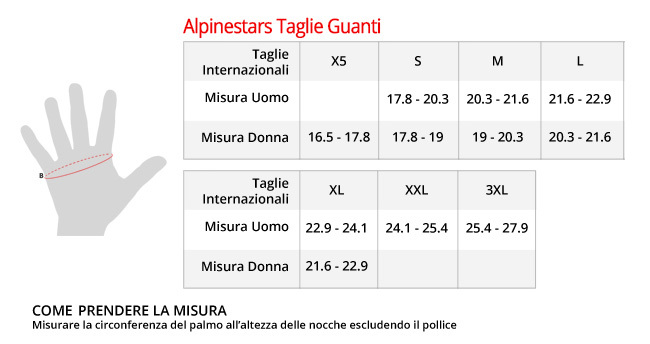 • Alpinestars’ Dynamic Friction Shield (DFS) knuckle protection system features dual density polymer mold construction for superior levels of impact and abrasion resistance. 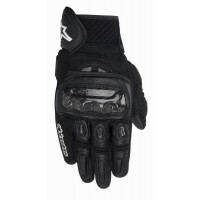 • Vented knuckle gusset aids internal airflow for cooling performance. 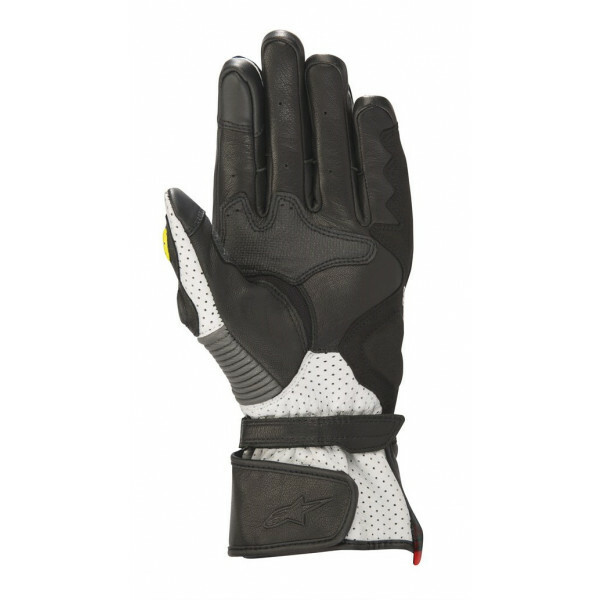 • Alpinestars’ double wrist closure system, with hook and loop grip closures to ensure close fit and security closure. • Synthetic suede side reinforcements on landing zones for abrasion resistance and durability. 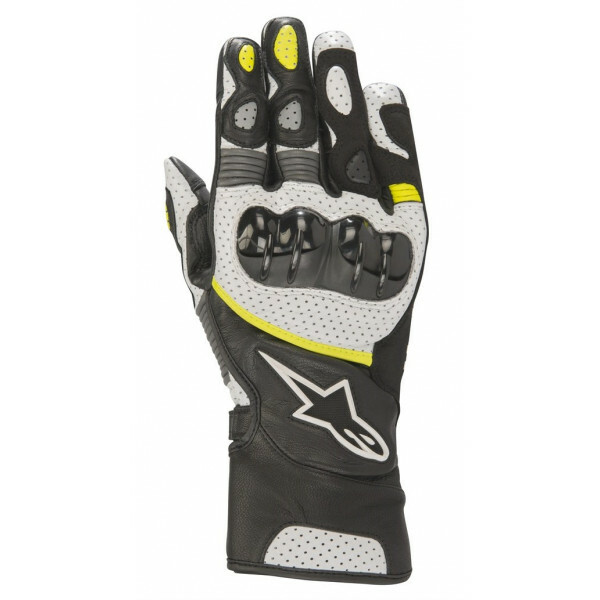 • Alpinestars’ ergonomic stretch insert between palm and thumb. 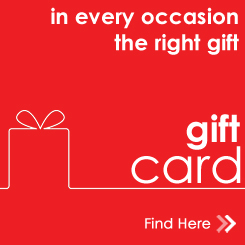 • Touchscreen compatible fingertip for use with handheld devices. • Integrated 3mm foam padding Designed specifically for an optimized women’s sport riding fit. 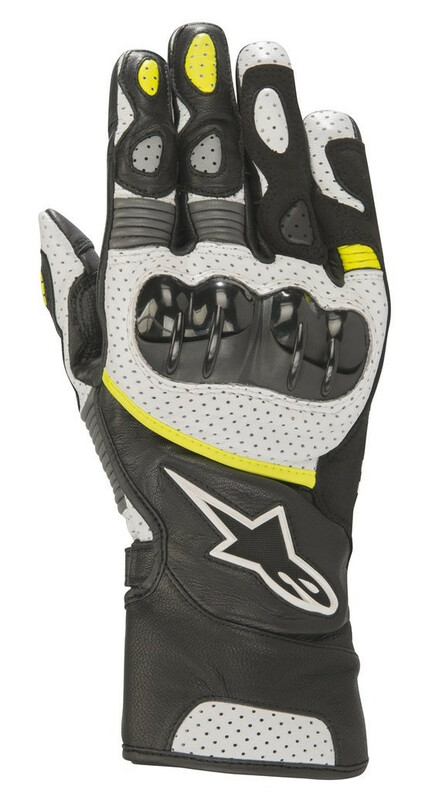 • Alpinestars’ patented finger bridge helps prevent finger roll and separation during crash.